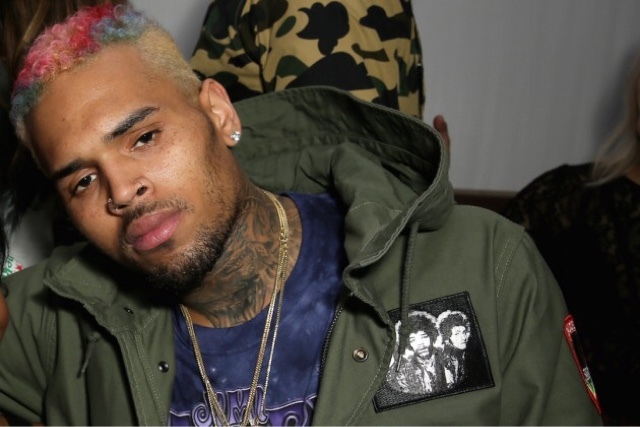 It's the start of a new year but Chris Brown has found himself at the center of yet another assault. A woman is accusing the singer of punching her in the eye during his private party at the Palms hotel in Vegas. According to TMZ the altercation occurred when CB found out the young lady snuck her phone into his suite, after security declared this was a no phones allowed gathering. The victim, Liziane Gutierrez snapped a photo of the singer and he went off on her, yelling, then allegedly punching her in the eye once. Via TMZ the victim supplied proof of her injury. After leaving the party Gutierrez called the police and now law enforcement will investigate the incident and Chris is a suspect. While Chris Browns team is denying the altercation with the woman who is accusing him of punching her in the face, we have learned this woman also got into it with Jason Derulo when he left her stranded and took her friends back to his place. Check out the clip below of Liziane clearly frustrated that Derulo did not let her party with him and her friends.